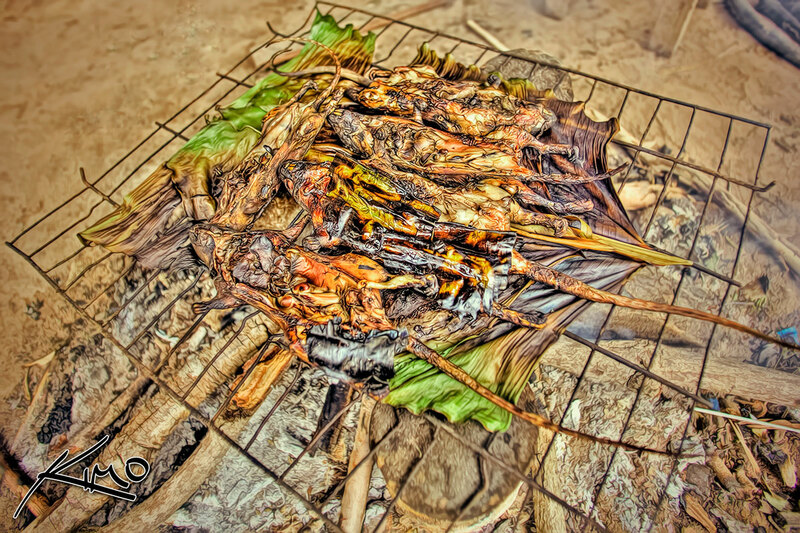 I’ll tell you what… there is nothing like roasted rat for an exciting mid day snack! These rats where caught by Grandpa using snares which he places out in the rice fields. Yes these are actually rats, no they don’t taste like chicken, and yes I did eat me some rats. As delicious as they look (sarcasm), rats have very little taste with an odd and unusual texture to them. These particular rats, as large as they are, don’t have much meat either. Grandpa loves eating rats… as for me, I think I’ll stick with chicken. Note… in this photo you see a banana leaf being used as tin foil to prevent the rats from getting too burnt.